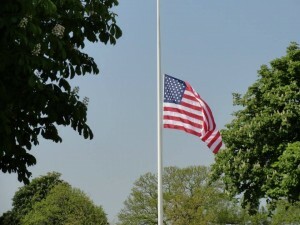 Normandy cemetery visits are a very moving experience. Witnessing the scale of the straight white rows of gravestones is a sobering experience, and one that will stay with you for a very long time. The graves and the cemeteries are a powerful reminder of the realities of war and the cost in young lives that war brings. Malcolm Clough can take you to any of the seven Allied military cemeteries in Normandy, and can help you find the grave of a particular soldier, if you wish to pay your respects. Malcolm also knows a great deal about the many small war memorials dotted around Normandy and Brittany. In many cases, the people of a town or village came together to make a memorial for soldiers and airmen who died in their towns and villages. The Normandy American Cemetery and Memorial is very near the battle site at Omaha Beach. This graveyard is the final resting place of ,387 American Military dead. Among the graves are those of Quentin Roosevelt and Theodore Roosevelt Jr, both sons of President Theodore Roosevelt. Two of the Niland Brothers, Robert and Preston are buried here. The film Saving Private Ryan was loosely based on the story of the four Niland Brothers. The cemetery at St James on the Normandy/Brittany border is less well known than the cemetery at Colleville sur Mer on OMAHA Beach. Officially known as the Brittany American Cemetery and Memorial, 4,410 U.S. forces personnel were buried here in a beautiful and tranquil setting. 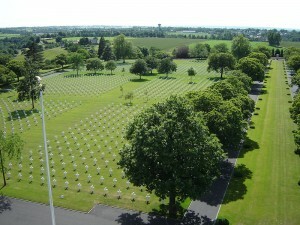 Most of the soldiers laid to rest in the Beny sur Mer cemetery were killed in action during the early stages of the Battle of Normandy. Soldiers killed later on in the campaign were generally buried in the Bretteville-sur-Laize Canadian War Cemeteryin Cintheaux. Ranville War Cemetery contains the final resting place of 2,235 Commonwealth burials of the Second World War, 97 of them unidentified. There are also 330 German graves. The neighbouring churchyard has 47 Commonwealth graves, one of which is unidentified, and one German grave. Banville La Campagne has 2,170 Commonwealth soldiers of the Second World War, 140 of whom are unidentified. 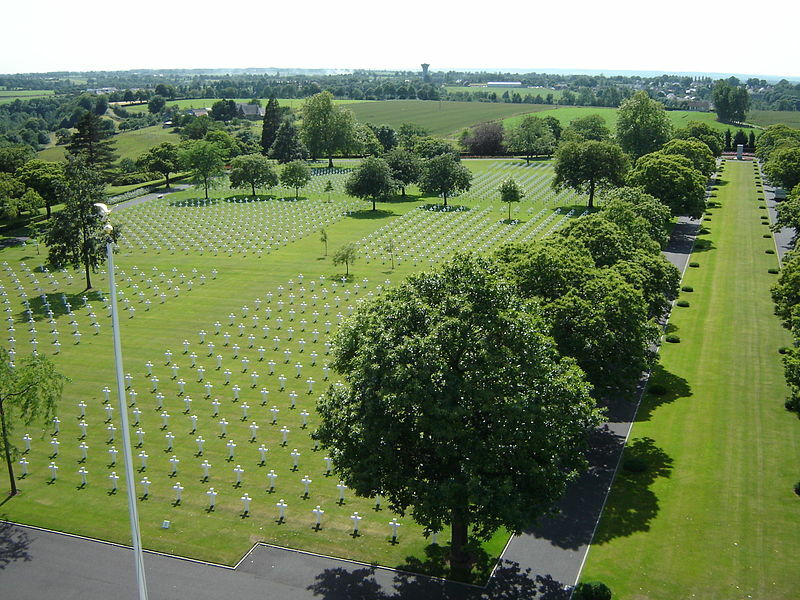 The St. Manvieu War Cemetery, has 1,627 Commonwealth combatants of the Second World War, 49 of them unidentified. There are also 555 German graves.